You know your movie has problems when even the star comes out publicly and says it was terrible. That’s the case with After Earth, the 2013 M. Night Shyamalan-directed, Will and Jaden Smith-starring sci-fi flick that missed the mark in many, many ways. It was so generally trashed that it’s actually a surprise it’s taken this long, but After Earth is now the subject of one of Cinema Sins’ “Everything Wrong With…” videos. If you’ve ever seen one of these videos, you should be well aware of what you’re in for. As usual, some of the complaints are legitimate, like problems with the awkward structure that flashes back and forth willy nilly, some questions about the scientific side of things, and how everything on an abandoned Earth has evolved to kill humans, despite the fact that humans haven’t been on Earth in thousands of years. Others are nitpicky. Today we’ve all hopefully been spending time with our fathers, or at least with our fond memories of them. Given how much of an impact our fathers have on our lives — even if only by their absence — there’s no surprise that daddy issues extend all the way to the final frontier. 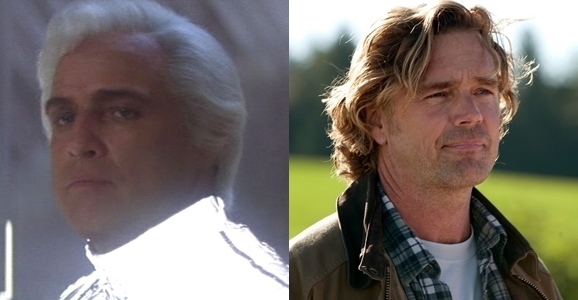 So, in honor of Father’s Day, we decided to take a closer look at some of science fiction’s most memorable dads, and the ways their teachings and legacies shaped their children. “Take A Knee.” Before the release of After Earth, I was excited, thinking that maybe the science fiction movie would be good. For some strange reason, I always root for M. Night Shyamalan to get back on track after Signs, his last good movie, though I’ve been terribly disappointed year after year. A collaboration between Will Smith and Shyamalan sounded like a good ides, so what went wrong? The answer is simple: a lot of things went wrong. Critics panned the movie and audiences decided to stay away. It was one of the worst movies of 2013, and was also nominated for six Golden Raspberry Awards, AKA the Razzies. As last night’s ceremony in Los Angeles, After Earth “earned” three Razzies, including Worst Actor for Jaden Smith, Worst Supporting Actor for his father Will Smith, and Worst On-Screen Couple for the pair “on planet nepotism.” Needless to say, After Earth wasn’t the comeback movie Shyamalan or Smith hoped, as both once-big-name celebrities are waiting for a hit movie. Before After Earth was released in May 2013, I was really excited to see the movie. Although M. Night Shyamalan’s track record as a director has been horrendous with past failures such as The Last Airbender, The Happening, and The Lady in the Water, I continue to be a big fan of The Sixth Sense and Unbreakable. The idea that M. Night Shyamalan was making a science fiction movie with Will Smith seemed very appealing to me. Of course, that was before I watched the movie. 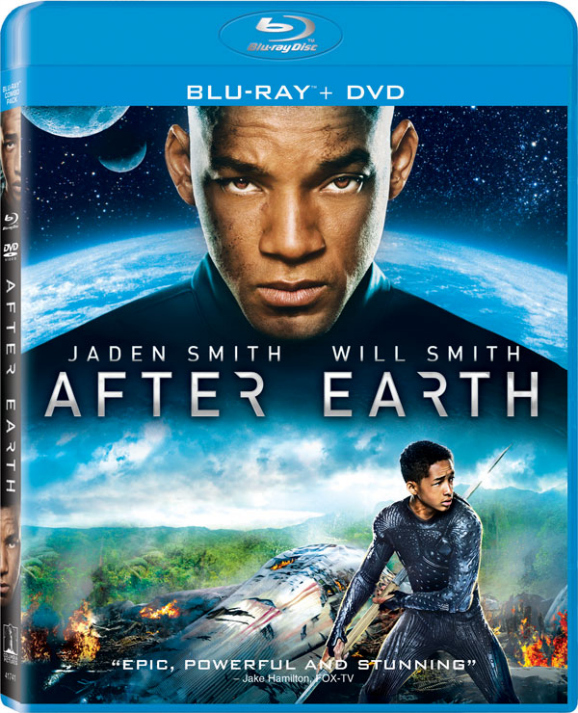 Let’s not mince words here: After Earth is a terrible, terrible movie! It’s not surprising that it was nominated for six Golden Raspberry Awards in the 34th Annual Razzie Awards, including Worst Actor for Jaden Smith, Worst Supporting Actor for Will Smith, Worst Screen Combo for “Jaden Smith & Will Smith on Planet Nepotism,” Worst Screenplay, Worst Picture, and, finally, Worst Director for M. Night Shyamalan. This is Shyamalan’s fourth nomination for Worst Director, with the 43-year-old director previously “winning” two Razzies for The Lady in the Water and The Last Airbender. At first glance, some thought After Earth would be a return to form for director M. Night Shyamalan. The science fiction film featured Will Smith and his son Jaden, the trailers looked exciting, and it certainly had the makings of a blockbuster. But once audiences finally saw it, it became clear that M. Night Shyamalan still has a long road ahead of him if he hopes to re-capture the magic of The Sixth Sense and Unbreakable. After Earth is a painfully banal science fiction film with (surprisingly) cringe-worthy acting. Now you can “enjoy” the film in the comfort of your own home when it’s released on Blu-ray/DVD in October. The M. Night Shyamalan film was also a weak performer at the box office this summer. It only grossed an embarrassing $60.5 million domestically, but brought in a decent $183 million internationally, making for a $243.6 million overall worldwide box office take, against a $130 million production budget. Considering this is a Will Smith action movie, it stands to reason that After Earth was a big disappointment when you look at his successful track record with Men in Black, I Am Legend, and Hancock.